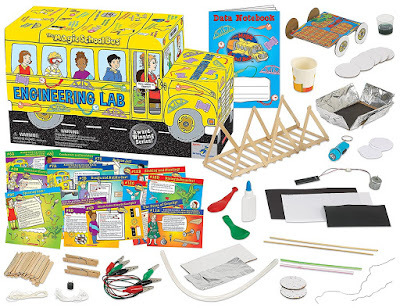 HURRY over to get this Young Scientist Club The Magic School Bus Engineering Lab for ONLY $14.47 (Retail $39.99)! Ms Frizzle and her students take Young Scientists on a wild ride with The Magic School Bus as they explore the fascinating world of engineering. Young scientists are asked by Ms. Frizzle to solve all kinds of fun and unique problems that lead to discoveries in the fields of chemical, electrical, mechanical and even civil engineering. Young Scientists become engineers when they build a solar oven, design a car, construct a bridge, create solar energy, design an electric game, make a simple machine, construct a submarine and much, much more! This bus-shaped kit comes with 33 colorful experiment cards, a data notebook to record experiment designs and is packed with science components such as a solar panel, motor, buzzer, electric wires and more. Seatbelts, everyone! 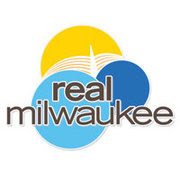 Get ready to design, create and experiment with Engineering Lab!